More than 2500 global leaders, including heads of state, public figures, chairmen and CEOs of multinational corporations and over 1000 media participated in the conference. Richard Attias & Associates is proud to have been selected to organize the Egypt Economic Development Conference (EEDC) that opened on 13 March for 3 days of exchanges in Sharm El Sheikh, under the patronage of H.E. Abdel-Fattah El-Sisi, President of the Arab Republic of Egypt. The meeting brought together heads of states from over 20 countries and top global business leaders. Having pioneered country-branding meetings over 20 years ago, Richard Attias was responsible for the inaugural World Economic Forum conference in Cairo in 1996. 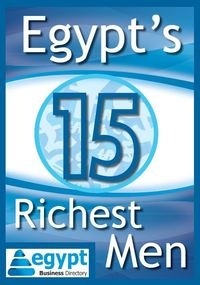 The primary objective of the EEDC were to tell Egypt’s new story and that the country is on a new track, with abundant opportunities for foreign investors in sectors including: Agriculture & Agri-business, Housing & Construction, ICT, Industry & Manufacturing, Oil, Gas & Mining, Power, Retail and Internal Trade, Tourism, and Transportation. The conference has gained unprecedented global attention for a country-level meeting, and attendance included more than 2500 global leaders, including heads of state, public figures, chairmen and CEOs of multinational corporations and over 1000 media. Institutional partners included the global consultancies McKinsey & Co., Booz Allen Hamilton, Arthur D. Little, and Strategy& (formerly Booz & Co.), Endeavor Global in addition to international media including CNN, CNBC, Thomson Reuters, Al Arabiya, and SkyNews Arabia. • Amr Awadallah, Cloudera Inc.